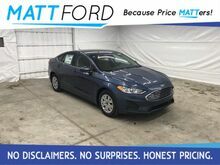 LANE KEEPING SYSTEM, BLIS W/ CROSS TRAFFIC ALERT, 16'' STEEL WHEELS,, 2.5L I4 IVCT, 50 STATE EMISSIONS, FRONT LICENSE PLATE BRACKETBACK-UP CAMERA, LANE DEPARTURE WARNING, BLUETOOTH, MP3 Player, BLIND SPOT MONITORING, KEYLESS ENTRY, 31 MPG Highway, . All prices after rebates. Some rebates require Ford Credit financing. Residency restrictions apply. Not all customers will qualify for Ford Credit financing. Prices subject to change. Please verify current price with the dealer. Price does not include tax, $199 Administration Fee or any other state or local fees. $300 additional discount included in pricing in excess of any current FMCC public rebate which is only available when financing with Ford credit Tiers 0-4 WAC. 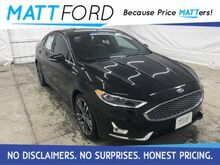 LANE KEEPING SYSTEM, BLIS W/CROSS TRAFFIC ALERT, 16'' STEEL WHEELS,2.5L I4 IVCT, FRONT LICENSE PLATE BRACKET, 50 STATE EMISSIONSBACK-UP CAMERA, LANE DEPARTURE WARNING, BLUETOOTH, MP3 Player, BLIND SPOT MONITORING, KEYLESS ENTRY, 31 MPG Highway, . All prices after rebates. Some rebates require Ford Credit financing. Residency restrictions apply. Not all customers will qualify for Ford Credit financing. Prices subject to change. Please verify current price with the dealer. Price does not include tax, $199 Administration Fee or any other state or local fees. $300 additional discount included in pricing in excess of any current FMCC public rebate which is only available when financing with Ford credit Tiers 0-4 WAC. AUTO START-STOP TECHNOLOGY, LANE KEEPING SYSTEM,,BLIS W/ CROSS TRAFFIC ALERT, FRONT LICENSE PLATE BRACKET,50 STATE EMISSIONS, 135L ECOBOOST ENGINE, 6-SPEED AUTO TRANSMISSIONBACK-UP CAMERA, LANE DEPARTURE WARNING, BLUETOOTH, REAR PARKING AID, MP3 Player, BLIND SPOT MONITORING, KEYLESS ENTRY, 34 MPG Highway, SAT RADIO, TURBOCHARGED, ALLOY WHEELS. All prices after rebates. Some rebates require Ford Credit financing. Residency restrictions apply. Not all customers will qualify for Ford Credit financing. Prices subject to change. Please verify current price with the dealer. Price does not include tax, $199 Administration Fee or any other state or local fees. $300 additional discount included in pricing in excess of any current FMCC public rebate which is only available when financing with Ford credit Tiers 0-4 WAC. 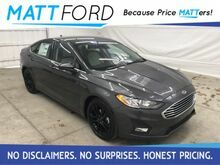 SE APPEARANCE PACKAGE, 18'' EBONY PAINTED ALUM WHEELS,REAR SPOILER, AUTO START-STOP TECHNOLOGY, LANE KEEPING SYSTEM,BLIS W/CROSS TRAFFIC ALERT, FORD CO-PILOT360 ASSIST,ADAPTIVE CRUISE W/STOP & GO, VOICE-ACT TOUCH SCREEN NAVIGATION SYS,FRONT LICENSE PLATE BRACKETBACK-UP CAMERA, LANE DEPARTURE WARNING, BLUETOOTH, REAR PARKING AID, MP3 Player, BLIND SPOT MONITORING, KEYLESS ENTRY, 34 MPG Highway, SAT RADIO, TURBOCHARGED, ALLOY WHEELS. All prices after rebates. Some rebates require Ford Credit financing. Residency restrictions apply. Not all customers will qualify for Ford Credit financing. Prices subject to change. Please verify current price with the dealer. Price does not include tax, $199 Administration Fee or any other state or local fees. 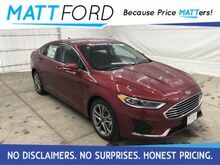 $300 additional discount included in pricing in excess of any current FMCC public rebate which is only available when financing with Ford credit Tiers 0-4 WAC. HEATED FRONT SEATS, AUTO START-STOP TECHNOLOGY, LANE KEEPING SYSTEM,BLIS W/CROSS TRAFFIC ALERT, FRONT LICENSE PLATE BRACKET,50 STATE EMISSIONS, 1.5L ECOBOOST ENGINE, 6-SPEED AUTO TRANSMISSIONBACK-UP CAMERA, HEATED FRONT SEATS, LANE DEPARTURE WARNING, BLUETOOTH, REAR PARKING AID, MP3 Player, BLIND SPOT MONITORING, KEYLESS ENTRY, 34 MPG Highway, SAT RADIO, TURBOCHARGED, ALLOY WHEELS. All prices after rebates. Some rebates require Ford Credit financing. Residency restrictions apply. Not all customers will qualify for Ford Credit financing. Prices subject to change. Please verify current price with the dealer. Price does not include tax, $199 Administration Fee or any other state or local fees. $300 additional discount included in pricing in excess of any current FMCC public rebate which is only available when financing with Ford credit Tiers 0-4 WAC. 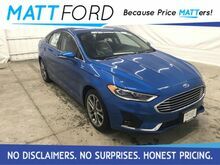 HEATED FRONT SEATS, AUTO START-STOP TECHNOLOGY, LANE KEEPING SYSTEM,BLIS W/CROSS TRAFFIC ALERT, POWER MOONROOF, FORD CO-PILOT360 ASSIST,ADAPTIVE CRUISE W/STOP & GO, VOICE-ACTV TOUCH SCREEN NAV SYSTEM,FRONT LICENSE PLATE BRACKET, 1.5L ECOBOOST ENGINE, 6-SPD AUTO TRANS,50 STATE EMISSIONSBACK-UP CAMERA, HEATED FRONT SEATS, LANE DEPARTURE WARNING, BLUETOOTH, REAR PARKING AID, MP3 Player, BLIND SPOT MONITORING, KEYLESS ENTRY, 34 MPG Highway, SAT RADIO, TURBOCHARGED, ALLOY WHEELS. All prices after rebates. Some rebates require Ford Credit financing. Residency restrictions apply. Not all customers will qualify for Ford Credit financing. Prices subject to change. Please verify current price with the dealer. Price does not include tax, $199 Administration Fee or any other state or local fees. $300 additional discount included in pricing in excess of any current FMCC public rebate which is only available when financing with Ford credit Tiers 0-4 WAC. 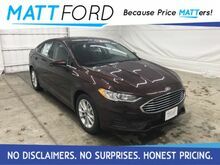 ADAPTIVE CRUISE W/STOP & GO, LANE KEEPING SYSTEM, 50 STATE EMISSIONS,BLIS W/CROSS TRAFFIC ALERT, FRONT LICENSE PLATE BRACKET,2.0L ECOBOOST ENGINE, 6-SPD AUTO TRANSMISSIONBACK-UP CAMERA, LEATHER, HEATED FRONT SEATS, COOLED FRONT SEATS, HEATED STEERING WHEEL, NAVIGATION, LANE DEPARTURE WARNING, BLUETOOTH, MOONROOF, REAR PARKING AID, MP3 Player, BLIND SPOT MONITORING, KEYLESS ENTRY, 31 MPG Highway, SAT RADIO, TURBOCHARGED, ALLOY WHEELS. All prices after rebates. Some rebates require Ford Credit financing. Residency restrictions apply. Not all customers will qualify for Ford Credit financing. Prices subject to change. Please verify current price with the dealer. Price does not include tax, $199 Administration Fee or any other state or local fees. 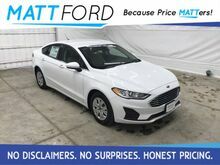 $300 additional discount included in pricing in excess of any current FMCC public rebate which is only available when financing with Ford credit Tiers 0-4 WAC.